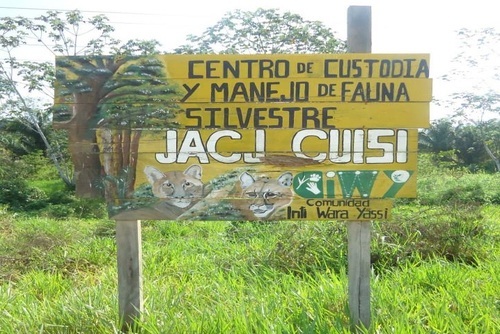 Comunidad Inti Wara Yassi (CIWY) offers animal conservation projects in Bolivia providing international volunteers the opportunity to work on a wildlife and nature refuge. The seeds of CIWY were sown in 1986 by founders Juan Carlos Antezana and Tania Baltazar Lugones (Nena), in a small neighbourhood in El Alto, above the city of La Paz. Juan Carlos and Nena worked to support the needs of miners' children who had relocated to the area, providing alternative education including carpentry workshops, tailoring, horticulture in green houses and other activities. As part of the education program, the children were taken on a field trip to the ‘Choro Trail’ a pre-columbian pathway that descends from the highlands, down through a number of ecosystems, to arrive in the cloud forest. The children from the altiplano were amazed by the luscious vegetation and quantity of wildlife that they witnessed in the mountainous forests of the Yungas region of La Paz. However as the children reached Coroico they were faced with a different reality: the impact that humans are having on the environment, and the effect that the ‘slash and burn’ approach has on wildlife. The sight deeply affected the children and they committed to create an environmental movement with the aim of showing the public the negative effect of destroying the rainforest and other activities that cause damage to nature. 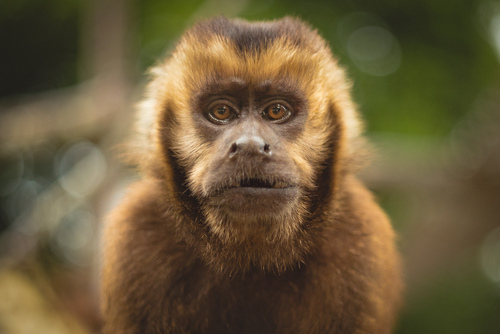 From this moment on the children began in earnest to campaign and raise awareness, using visuals that expressed the urgent need for environmental legislation to protect the forests and animals of Bolivia. On another trip, the children witnessed blatant abuse of wildlife. 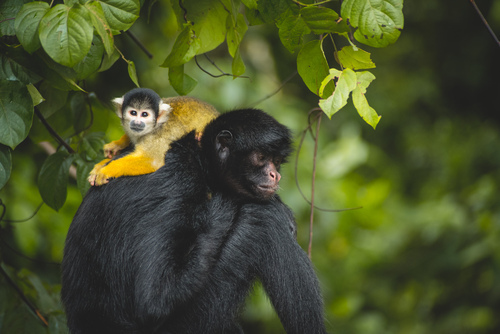 They found a spider monkey in the town of Rurrenabaque, which the locals were forcing to drink alcohol and make dance. The children’s natural reaction was to rescue the poor animal, which they did. But what would they do with the monkey once rescued? Where could they take it? In the absence of an obvious area to look after the animal, the only option was to take it to a youth hostel nearby. These experiences and other aggressive actions such as the killing of mothers in order to capture their babies and sell them as pets in illegal markets, and circus activities that constitute physical abuse, committed us to create the first refuge for wild animals in Bolivia – Parque Machia near the town of Villa Tunari, to offer these voiceless creatures a second opportunity of a dignified life. CIWY’s name means 'sun, star and moon' in the indigenous languages Quechua, Aymara and Chiriguano–Guarani respectively. It represents the main cultural ethnic groups of Bolivia and symbolises unity. In order to work with the animals in our centres, volunteers must commit to a minimum of either 14 or 29 days, depending on the area of work. 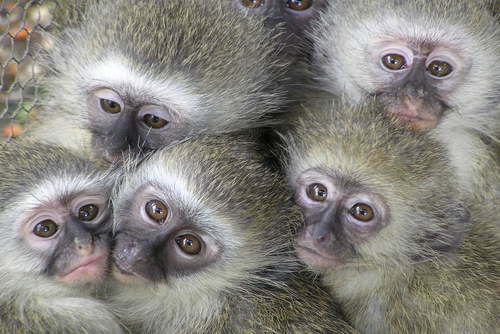 Work with all felines and certain monkey groups requires a minimum of 29 days. If you do not have two weeks to spare but still wish to help, we are currently accepting volunteers to help with construction and general construction, maintenance and gardening work in Jacj Cuisi for as little as one week. Lots of volunteers stay for many months or even longer, and often return for a second and third time. Long-term volunteers are essential to the work that we do. In addition to caring for the animals, they help manage certain parts of our wildlife centres and have a more intimate knowledge of the animals. The cost of volunteering varies by sanctuary. Please see each sanctuary's specific volunteering page for the exact cost. Payments made by our volunteers are our main source of funding, making up 85% of our total income. These payments are normally spent within a week on food and medical supplies for the animals, or to cover the sanctuary's general operating costs. Volunteer fees also cover the cost of accommodation and, in two of our parks (Ambue Ari and Jacj Cuisi), three meals a day are also included, whereas at Machia only lunch is included. Great experience! Loved every minute of it. Food was amazing! Physically demanding work but immensely rewarding. Highly recommend. Si eres voluntari@ de ciwy podrás darte cuenta del arduo trabajo a favor de la vida silvestre que ellos hacen. Y cuán importante ellos son para la rehabilitación de animales silvestres necesitados. This place is the greatest school of life. The animals have taught me immense lessons of resilience and forgiveness. They find their way to become your best friends and will keep their place in your heart for ever. I've been at Ambue Ari 2 times for 3 months each time and plan to go back again this year and the followings. Be ready for tough and rough, life conditions are not easy but the experience is so rewarding that you forget the lack of comfort, mosquitoes and humidity. If you love and care for animals CIWY is the place to go!!! I volunteered at the Ambue Ari park in 2010 for 2 months. I found it to be one of the best volunteer places I have been to. They genuinely care about the animals and try to give all the animals the best life they possibly can. 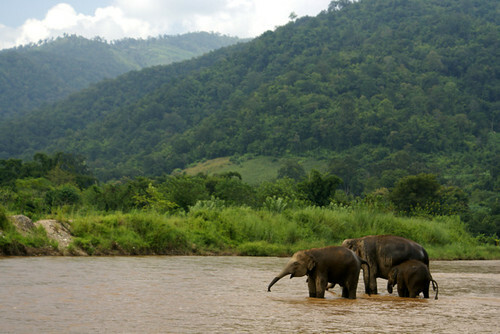 Most of the animals get to spend hours out of their enclosures being walked in the jungle. It’s a very enriching life. It’s a very low budget place but volunteers go beyond expectations to raise money for better enclosures and to physically build the new enclosures with minimal equipment and technology. 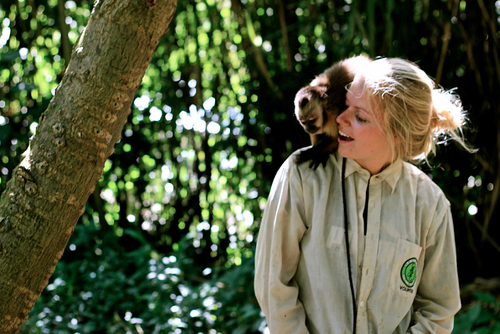 It’s a brilliant experience living in the jungle and devoting your time to the care of the animals. He trabajado como voluntaria en el Parque Machia más de 1 mes en Mayo - Junio 2010 ; cuidando sobretodo monos capuchinos , y también monos araña y ardilla. Fue un experiencia increíble y inolvidable. I volunteered in the jungle of the Ambue Ari Park a few years ago. 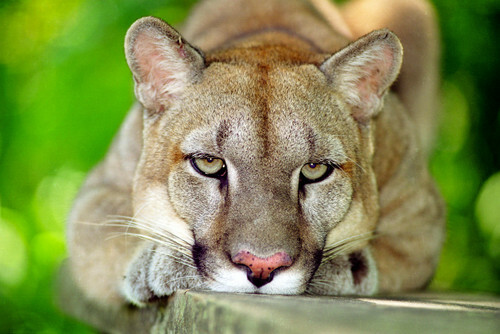 I was taking care of a howler monkey and two pumas. We had to be attentive, motivated, patient, and serious. But the love given in return by these animals was much bigger than all those efforts. And surely they deserve it. I've been kn ambue Ari for 6 weeks in 2018. The experiencie was really memorable! Being inside the rainforest hearing diferent animal noises, sharing fellings, laughts and ecperiences with the people and taking care the wonderful animals they have in the center is the most wonderful experiencie I've done un my Life. I only wish to come back againg. 2 months at ambue ari - unforgettable! I spent 2 months at Ambue Ari from February- April 2018 during a trip through South America. I studied zoology and conservation at university, so I wanted to find a reputable sanctuary that had the best interest of the animals at heart - not profit or “gap year” tourism. I can safely say that CIWY does everything it can to give their animals a second chance at life and the animals’ needs are always put first. It’s hard work and long days but every minute is worth it - I spent my days in the Bolivian jungle guiding howler monkeys through the trees and walking with a cheeky young ocelot through his favourite trails, watching him hunt and climb trees as he would in wild. It’s a huge privilege to work with these animals whilst knowing you’re doing some good in the world! You’ll meet awesome, crazy people from around the world and make unforgettable memories for life. Puede tener la dicha de estar en los tres centros y cada una se ha robado mi corazón de formas distintas, el trabajo con estos animales rescatados del tráfico realmente an tocado mi corazón, y ya llevo casi 8 meses en Ciwy y voy por otros 10 meses más, siento que Ciwy a cambiado mucho en mi y la.manera de vivir en paz con la naturaleza de una forma responsable.y ni que decir de los amigos que hice en este tiempo a muchos de ellos puedo considerarlos parte de mi familia. I've been volunteering at Parque Ambue Ari for the first time in 2013, and I just couldn't get enough so I came back in 2014, 2015 and 2016! It's definitely my best experience of volunteering. People are great, and the rescued animals are awesome to work with. They need lots of love, and you fall in love with each of them. 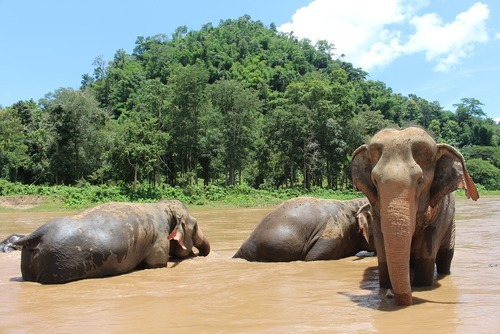 Life in the jungle is just so magical, even in wet season! It's hard working, but animals need you so, don't hesitate and go to meet them! Since I volunteered with CIWY there hasn't been a day I haven't thought about the beautiful abundance of life that is thriving half way across the world, and of the day in which I can return. From the minute you arrive at the park the love from the animals, volunteers and staff, flows through you leaving you feeling like part of a much needed community in an ever unsustainable world. Words will never do justice for the amazing work that goes on at CIWY, the animals are well and truly cared for and no doubt in the best place possible to live the rest of their life after the tragedies that many have endured prior. Every day is a complete new experience in itself which will only get better with time, memories lasting for a lifetime. It's an honour and a privilege to have been given the chance to volunteer in such a unique place. I volunteered here for three months in 2009, and another month in 2010. I know of nowhere else a person can have daily, hands-on contact with such remarkable exotic animals without buying a ticket and feeling like a tourist. The work is hard and requires skill and love; this is not a petting zoo, but a place where excellent people go to care for amazing animals in a breathtaking environment. Folks who just want a facebook picture tend to leave quickly when they realize the work is real. They are missing out. Truly one of the most rewarding and self-defining experiences of my life. Go, and stay as long as you can. I’ve been here twice now and will be going back for sure. No where else have I seen the hands on work with cats and other jungle critters available to volunteers, like this place. Go! You won’t regret it! I've been at Ambue Ari back in 2013 and 2018. And hopefully it's not the last time, I've been there! It's the most incredible experience I've ever done - no doubt. It's really hard work and I've never done anything like it. But it makes sense everyday when you get to know the amazing animals and see the difference it makes. Thank's to everyone at CIWY and the volunteers to make this possible. I love the jungle and Ambue Ari and miss it everyday. I have now been three times. I first went for 4 weeks and ended up staying over 3 months. I only left as I had friends flying out with flights already booked. And it keeps drawing me back. Accommodation, food and amenities are basic at best. Don’t go if you want any luxury. There are mosquitos in the bucket load - but what else would you expect? Your in the jungle. Now your expectations are set nothing can disappoint. You are with nature. You are surrounded by weird and wonderful plants and animals. You will see wild monkeys, toucans, parrots, and can also see large cats, tyras, ant eaters, to name but a few. You will work with the most incredible animals on the planet. They are all so different so deserving of love and someone to give their all. It’s hard work. 40 degree heat with 100% humidity and you have to work for their respect. But man is it worth it. The fact they can forgive and trust humans after what has happened to them is out of this world. This charity is not like others where it is a ploy to make money and pounce on the white saviour complex. This charity NEEDS volunteers to survive. The accounting books are open. They put their heart and soul into it. I volunteered for a little over a month at Parque Machia. I was assigned to an ocelot and spent my days walking the jungle. It’s hard to explain how incredible this experience was, but I will always cherish this month of my life as one of the most memorable and life changing experiences i will ever go through. If you love animals go for it!! Tough but so worth it! I actually discovered Inti Wara Yassi in a Toni & Guy (hair dressing) magazine, it was exactly what I had been looking for and made my decision that when I finished university I would go. 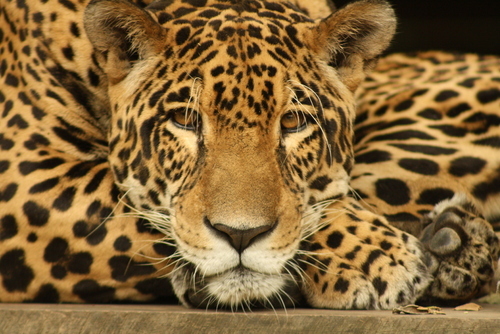 I had always wanted to work with big cats so I knew that their Jacj Cuisi parque was the one for me even if it was the hardest one to get to. I went by myself and although travelling from Santa Cruz to Rurrenabaque by coach was a bit scary, it went smoothly and was well worth it. Jaji Cuisi doesn't get as many volunteers as the other parks and therefore everyone mucks in. I planned to stay for only a month (the minimum time to work with pumas) but fell in love and stayed for 3 months instead. While I was there, there were times when it was just myself and the two ladies who worked there, so I was lucky enough to get to know and work with all 5 (at the time) pumas. I actually fell in love with Simba, we understood each other - that's the thing, you really do get to know the animals' characters, you work with them every day and sometimes all day (especially Sonko, who'd sleep for hours out on the walk). You learn skills, not only to do with the cats but construction, cooking, team work, general maintenance and so much more. You spend each day with the basics, no electricity, or the use of money (except the one day you'd go into the local town), we'd bathe in the local river it was really liberating and almost refreshes your mindset. I came away from Jacj Cuisi a different person, but a better, more confident and experienced one. Plus the wildlife in the amazon is incredible! I saw everything from miniature hummingbirds, wild boars and even a giant anteater (which is super rare). Go! When I get the next opportunity I'll be going back. I have been a volunteer in Ambue Ari for 6 weeks in 2017. During my stay i met wonderful people that were giving their best in order to help animals that were victims of illegal trades & poachers, each having its own sad story. It was very enriching experience that made me to forget myself and tought me to overcome my fears of living in a jungle in order to help those that need it. Regardless the challenging living conditions, it was one of the most enriching and memorable experiences that I never forget and hopefully will be able to return one day. I've volunteered at Ambue Ari, one of CIWY's three parks, four times now. One of my stays was nine months long. I love it there. CIWY's work is very important and I think one of the best things about the organisation is how honest they are. The books and finances are open if anyone wants to have a look, there are no secrets about where the money is going. I know that there have been times when the few staff who should get paid haven't been because there just hasn't been the money. There wasn't even a thought that they might stop work or slack off. All the money goes towards feeding and caring for the animals and upkeep of the park. The place itself is pretty basic. You're living in dorms that don't always have what you might call conventional walls, there is very limited electricity so no hot water or electric lighting. But its amazing. The people there are pretty amazing too. I think you have to be a special sort of person to go there, especially to stay for a while. So there is always an amazing group of people, there are so many of them I know i will stay in contact with for a very long time. Once you leave everyone always seems to be meeting up in random places around the world, and you might meet someone you weren't at the park at the same time as, but its as if you were anyway. The website talks about the CIWY family, and usually i'd be a bit funny about that sort of thing, a bit cliche, but it really is true. Going there will change your life for the better, and you'll be changing the lives of the animals too. Life in the jungle: a wonderful challenge. I've been the veterinarian of CIWY for almost one year and a half, and now i can say they are my family. Although living in the jungle can be a challenge, it's been one of the most enriching experiences i've been through, not just as a vet but as a person. Working in such conditions with no resources at all can be difficult but at the same time it makes you get the best out of yourself. I've met wonderful volunteers. Young people from all over the world, working hard day after day to give their best to the animals. Life in camp means sharing, helping each other and being an inconditional support for everyone there. And at the end, every walk with a cat, every play with a monkey and definitely every sign of our orphans forgetting about their terrible past, make you understand that all the effort was worth it. I volunteered here in 2016 for 5 weeks. In those weeks I met the most amazing animals. All the animals here have been rescued from the black market and are unable to be released back in to the wild as they would not survive. This organisation looks after them and helps to let them have the most normal life as possible. Living out in the jungle and taking the animals out to experience it whilst feeding, cleaning and giving them enrichment every day. This was one of the hardest jobs I have had as the hours are long and a lot of work is involved but getting to spend time with such beautiful animals means waking up everyday with a smile on your face. This organisation truly stole my heart and as soon as I can I will return to volunteer again. Have you booked with Comunidad Inti Wara Yassi ? Please share your experience and submit your review.